Accounting is one of the broad principles of industrial processes and is undoubtedly a component that will tremendously help in the effective corporate strategic planning. Accounting is the backbone of the business, and without proper accounting of a particular business all the audiences such as external stakeholders, government agencies, corporate executive officers and customers too, will get affected. The corporate leaders quite rarely conduct decision making and long-range planning activities that are just based on qualitative data. The skilled accountants in the specific areas of cost and managerial accounting are consistently called upon to support the high-level plans, generation road maps for strategies, and entrepreneurial policies. They can effectively derive the required information from the company’s financial data and will provide you to use it effectively to improve the overall auditing and success of the businesses. Managerial accountants’ roles are essential for the current situation because the taxes and audits of the present era are very complexes. For the people living in Singapore, the experienced accountants play important roles in the company, so before your company choose the suitable accountants, the management should be clearly defined of what are the company needs that will be performed by the accountants. Managerial accountants have the expertise to collect right data, analyse the received data and then translate that data into the most delicate information which the decision makers will need to establish big profitability goals. The financial and accounting information that is provided to the senior leaders by secretarial services will allow them to reevaluate their products’ production and product pricing strategies effectively. 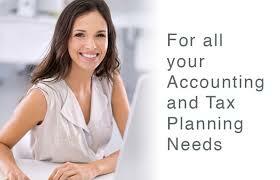 These actions done effectively by secretarial services from Singapore will give your struggling business a boost up. To reach the final goals, every company need the best accounting service to stay put to their mission goals through the most excellent financial information for acquisition strategies. Acquisition strategies are for the identification of the particular ways to minimize or eliminate costs through divestiture and to effectively promote the value creation for the honored company investors. The acquisition strategy of the company or business organisation to purchase a potential competing business to eliminate excess capacity issues and to penetrate a market through consolidation of production efforts. The incorporation services in Singapore will be able to help the top management to thoroughly analyse the situation and then make the possible strategies to overcome the problem and take the business to productiveness. The proper acquisition strategy will also help to avoid several GST Registration penalties. Risk control mechanisms and control processes are tremendously essential to analyse and inspect the overall health and wellness of the business. Without the most exceptional managerial accountants and Accounting services Singapore your business in Singapore will not be able to manage and company’s risk functions. The ultimate reason why an outsourcing Singapore accounting services are necessary because they are expert in collecting subjective data that will be quite helpful for the managers to manage the company’s finances duly. The Corporate leaders in Singapore now have realized that to maintain quantify risk management objectives they have to get help from outsourced accounting services. The secretarial services have the expertise to help the employers to take the measured risks and gain maximum profits in result in such a competitive market. An offer the top-notch outsourced accounting services for the all of the business companies in Singapore that are aspiring to prosper. Service provider like us will help you want to your final goals and maintain the quality level of excellence and our terms have the best outsourcing Singapore accounting services. Get in contact with us, and help you get the best accounting services in Singapore just for your business to be successful.